Blog Agglomerated or natural corks? So should you choose agglomerated or natural corks for your stoppers? 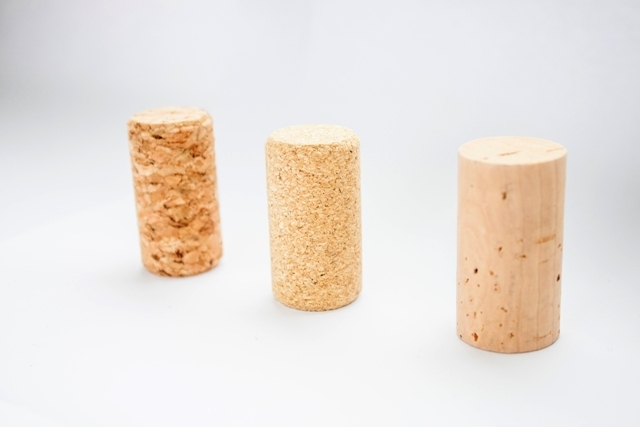 Assuming that you are not going to use a synthetic option (screw tops or worse still a plastic cork imitation), what are the different characteristics of agglomerated and natural corks? Within the agglomerated cork bracket, you can opt for micro-agglomerated (with 0.5 to 2.0mm granule size) which have the advantage that they are stronger and harder wearing that standard agglomerated corks and then you can choose between extruded and moulded agglomerated corks. Extruded agglomerated corks are the cheapest cork option and the reason is because they are not very strong, so more likely to break when uncorking a bottle and giving a less reliable seal to the bottle. Moulded corks (which are always micro-agglomerated) are a much higher quality option and are becoming increasingly common in the industry now, because they are much stronger and their reliability/consistency is much better than extruded corks, but they are twice the price of extruded corks. Increasingly moulded agglomerated corks are taking market share from natural corks and the simple reason is price. Natural corks are extremely complex to produce given the fact that they have to be produced from uneven cork bark and then selected and divided by quality (and then selected and divided again after treatment) and are less easy to sterilize than agglomerated corks. This makes good quality natural corks expensive and there is no point pretending otherwise, but is the extra money worth it? So natural cork is the best closure for high quality wines and spirits and confers a feel of quality and a nature to drinks that are bottled with it. You can look at natural cork as steak compared to agglomerated cork as burger meat – they both have their place in the food market, but when choosing between natural and agglomerated you need to decide if you are selling fast food or fine dining…….